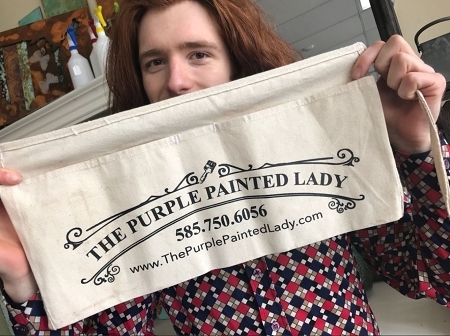 Who wouldn't want a Purple Painted Lady apron! 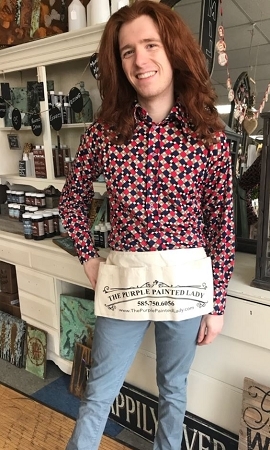 Seriously- this is a great apron so you cnveniently have a place to wipe your dirty fingers while creating your masterpieces. Apron is made of natural heavy 10 oz. duck cotton and is 8" x 18" with 2 nail pockets and pencil pocket. Purchase over a $100 in product and write in the comments "I want a TPPL apron for FREE!" And your wish will be our command!